 We’re Cactus Coffee a boutique espresso bar on wheels serving organic, locally grown and roasted coffee from Mt Tamborine. Quality is our mantra; we only serve the finest quality organic coffee and a variety of the best milks. For the non-coffee drinkers, we also serve organic turmeric, chai and chocolate. We think our trailer is the raddest getting around the Gold Coast! Find us all over the Gold Coast at local markets and events or hit us up to talk about how we can cater your next event.